The final movement of the Kalkadungu (co-composed by and featuring didjeridu virtuoso William Barton) was performed recently as part of the 2009 G’Day USA celebration concerts in Royce Hall, LA and Carnegie Hall, NY. 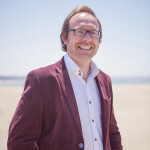 The performers were William Barton and the Adelaide Symphony Orchestra, conducted by Arvo Volmer. The concerts were favourably reviewed, including by the LA Times. William Barton and I are having a new composition premiered by the Sydney Symphony Orchestra in the Concert Hall of the Sydney Opera House on 2-4 April, 2008. The work is called Kalkadungu, which is the name of the tribe from which William originates. It’s scored for a soloist playing electric guitar, singing and didjeridu (obviously William is performing this part!) with orchestra. It was very interesting being part of a co-commission, that is, the piece was written both by William and myself. This approach may be common in the popular and jazz music traditions, but I can’t think of many examples from classical music where this happened (the orchestral works of Paul McCartney perhaps). 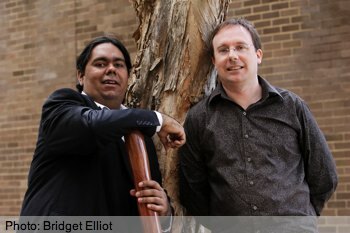 Writing an orchestral work is such an intricate task that it doesn’t normally lend itself to compositional collaboration, but in this case we used a common starting point: an Aboriginal chant William wrote when he was just 15 years old (listen to one of William’s pieces based on this chant here). Programmatically, the piece is based around the events and ramifications of the troubled history between the Kalkadungu tribe and European Settlers. The Kalkadungu people were a fierce tribe of warriors who conducted a campaign of guerilla warfare for 15 years, before being decimated in battle by the combined troopers of Queensland in 1889 at Battle Mountain, near Mount Isa. For more extensive programme notes, click here. 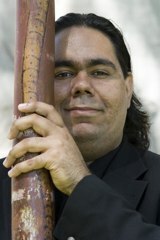 Kalkadungu was commissioned by Maggie Gray and Roger Allan. Australia is lucky to have philanthropists such as Maggie and Roger who support the needs of indigenous people in our community. They are both heavily involved in indigenous affairs and have recently started a company called “Indigenous Capital” that provides capital for indigenous projects and subsequently returns all profits to the indigenous community.